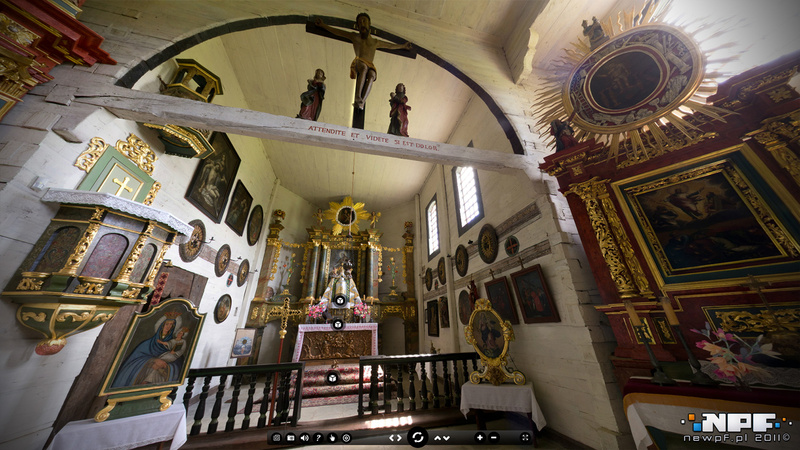 A set of spherical panoramas presenting the Museum of Folk Architecture in Sanok, Poland. 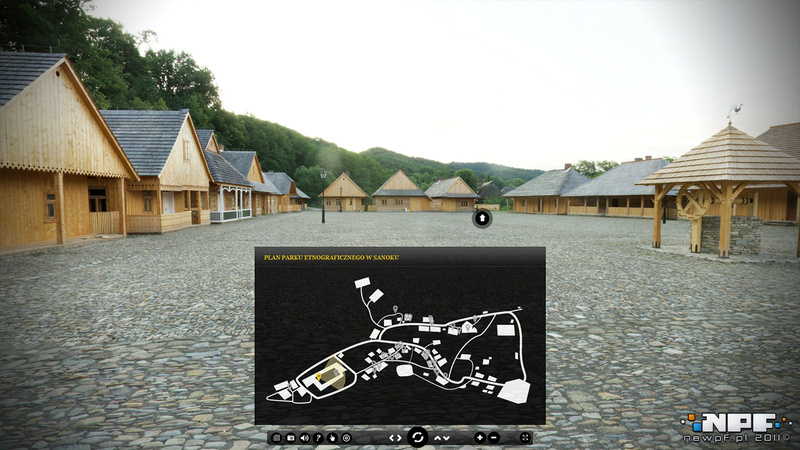 It was created for the Virtual Museums of Podkarpacie project, and can be run from the above link. Despite the extremely high resolution, it can work swiftly and efficiently even on slower internet connetcions. 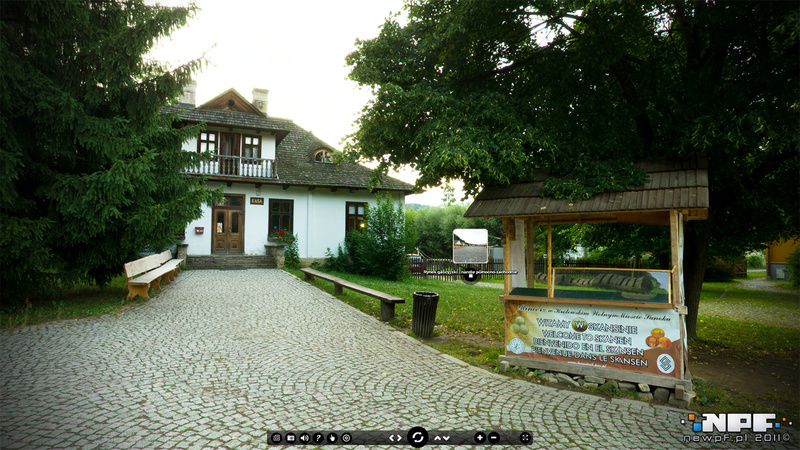 Apart from going from one point to another (including using a map or thumbnails), a few hotspots were placed on panoramas. 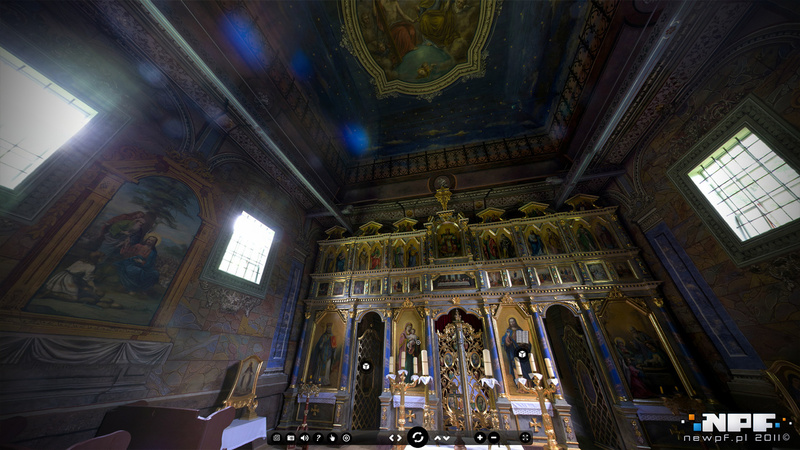 By clicking them, user can for instance play an animation, watch 3D model of an exhibit, etc.